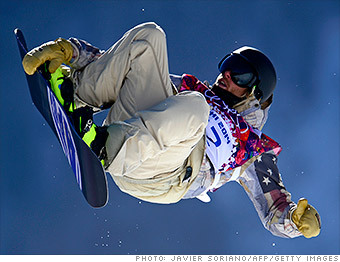 Kotsenburg secured the first gold for Team U.S.A. in Sochi in the men's snowboard slopestyle. He's already backed by sponsors such as Nike (NKE), Monster Beverage (MNST) and GoPro. In a laid-back interview with CNN, he said he took it easy ahead of his big competition, munching on snacks and watching the Sochi opening ceremony.